The digging stick (also hardened-see previous post) was used to break new soil for a garden. The best soil was near rivers as it was softer to prepare and my opportunity was to utilize reproduction Lenape garden tools close to the Delaware River. 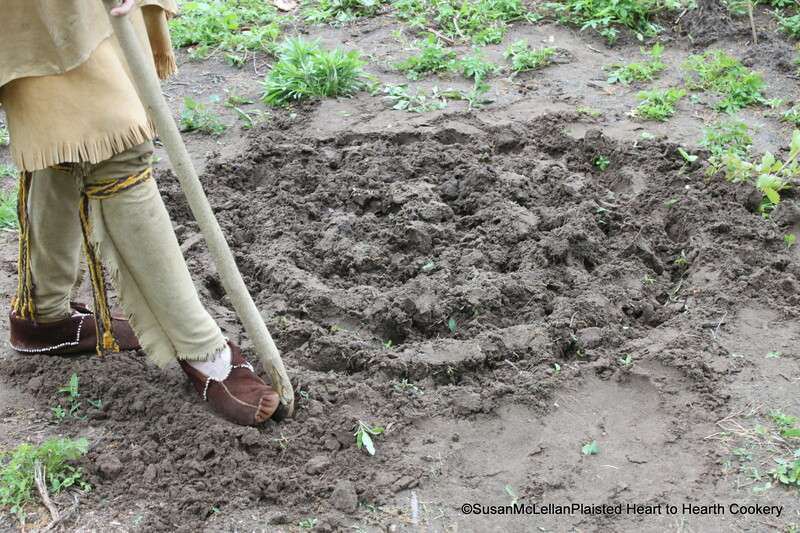 I started in the center of the garden by pressing the digging stick into the soft earth with my foot and prying up the soil to create a small circle and continued working in a circular path.